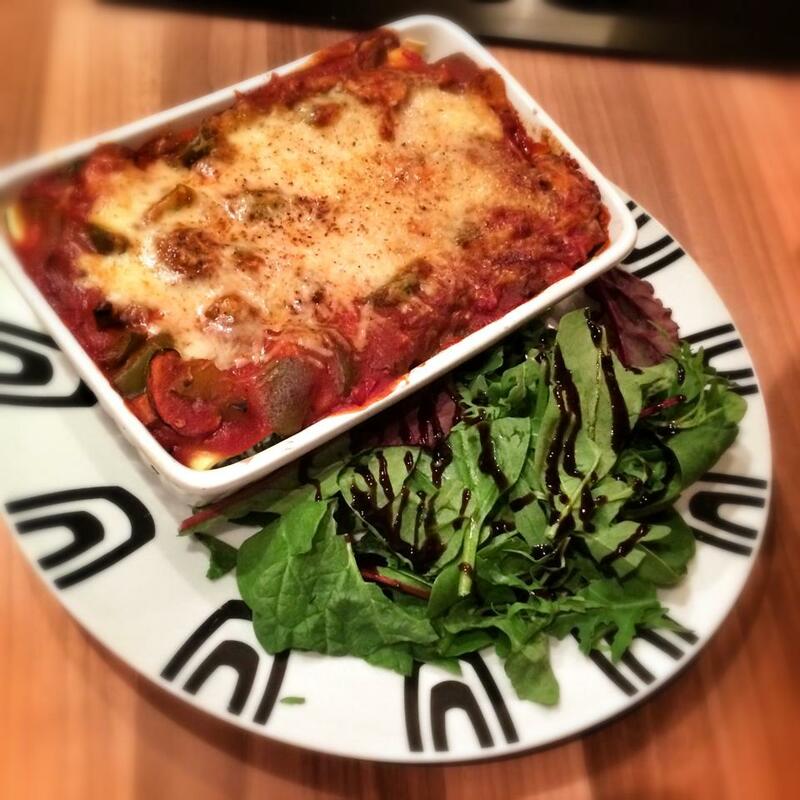 I love a good meal in an Italian restaurant and there’s nothing better than some oozing, cheesy cannelloni however its always off the cards these days as it is just no good for the old waistline. That’s why this week I decided to try and make a low point version of this delicious treat that was bursting with flavour yet not too heavy on the points. The result was delicious. The cannelloni was stuffed full of goodness as well as cheese and chorizo and the sauce on top really set it off. 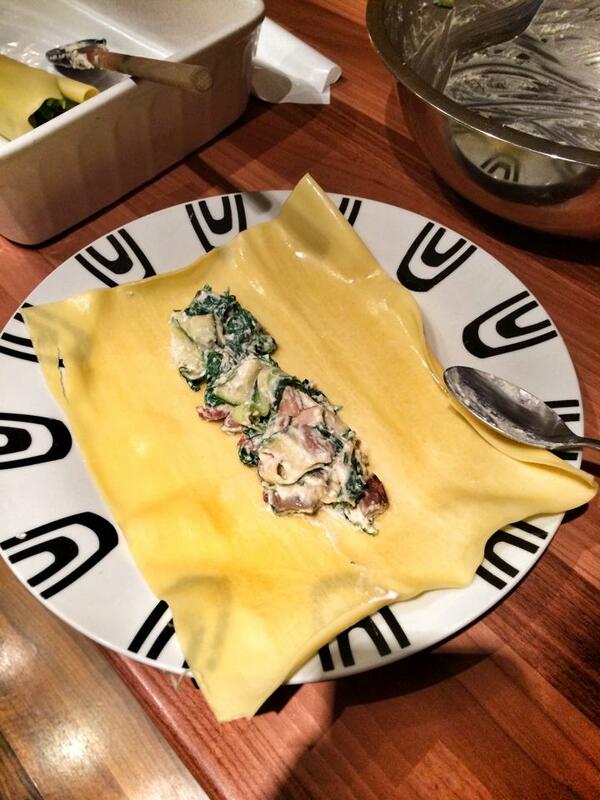 Instead of using cannelloni tubes, I used fresh lasagne sheets as they are half the hassle and really cheap. 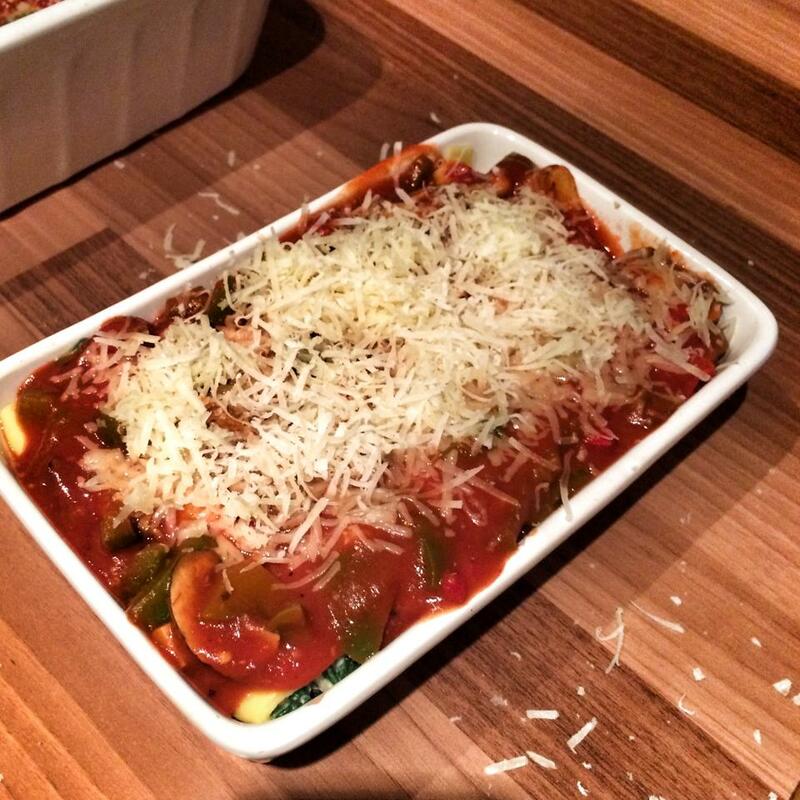 A 250g pack of fresh lasagne (which is enough to feed 4-6 people) is just £1. I served this with some fresh salad leaves and a tea spoon of balsamic glaze on top. If you are a vegetarian, this would be equally as delicious without the chorizo. Simply leave it out and the points work out at 10sp per person. Fry the chorizo for a few minutes in 1kal (until the oils start to release) then pop in the mushrooms and cook until soft. Put the chorizo and mushrooms into a large mixing bowl. 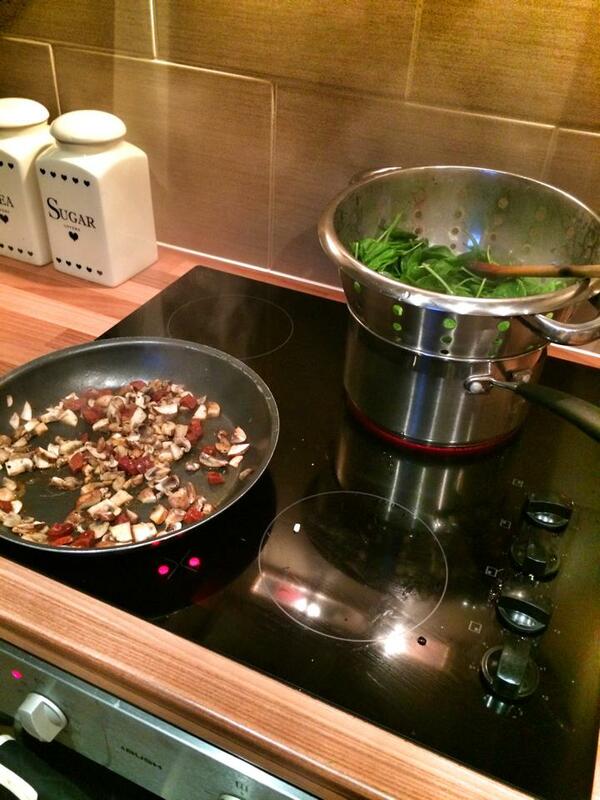 Take a pan half full of boiling water and using a colander wilt your spinach (you might need to do this in batches). It looks like a lot of spinach when you start but it wilts away to nothing. 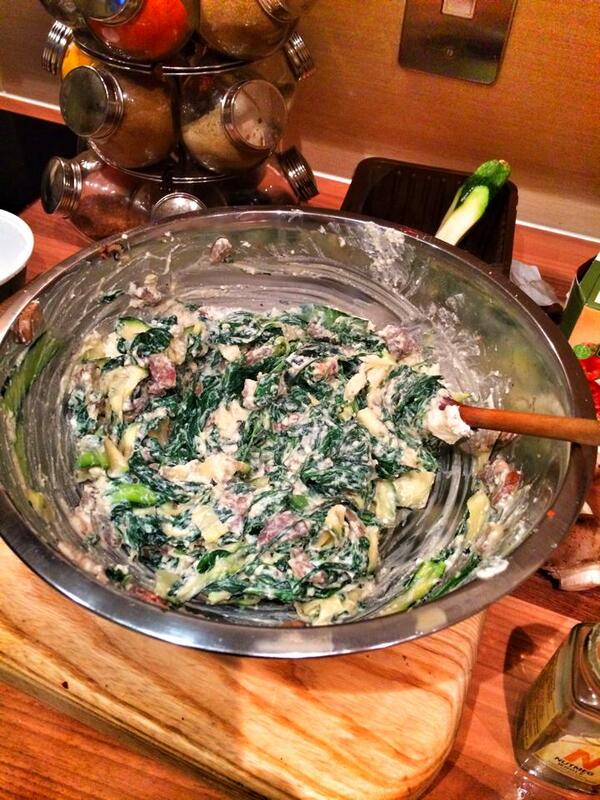 Once wilted, try and get rid of any excess water and then add the spinach to the mixing bowl. Using a potato peeler, peel the courgette into a big pile and then roughly chop in half (so the lengths aren’t too long). Add this to the mixing bowl. Pop in the ricotta and top with a good grating of nutmeg and a pinch of crushed chillies then give everything a good mix so that the ricotta is well combined with everything. Next pop the lasagna sheets into a large shallow bowl, cover with boiling water and tin foil and let soak for 2 minutes. Drain the water carefully. 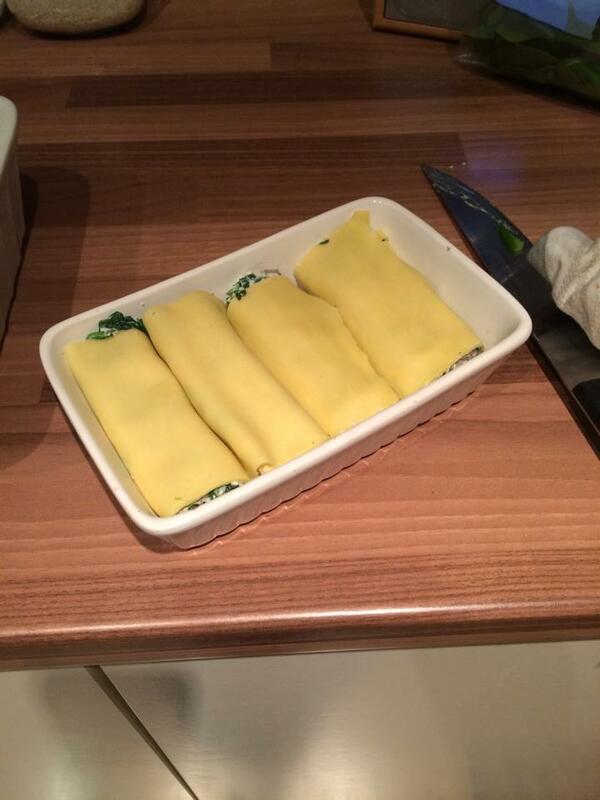 Now for assembling the cannelloni. Pop the lasagna sheet landscape on a plate and pop a line of the mixture going from left to right filling right to the ends. The mixture will yield enough to fill all six sheets in the pack so when you are filling think about splitting the mixture into six. Once full roll the bottom and top over the mixture and form into a nice roll. If you are making individual lasagnas you could cut them in half, if you are doing it in one big lasagna dish its fine to leave them whole. Pop the filled lasagna sheets into a baking dish and set aside. 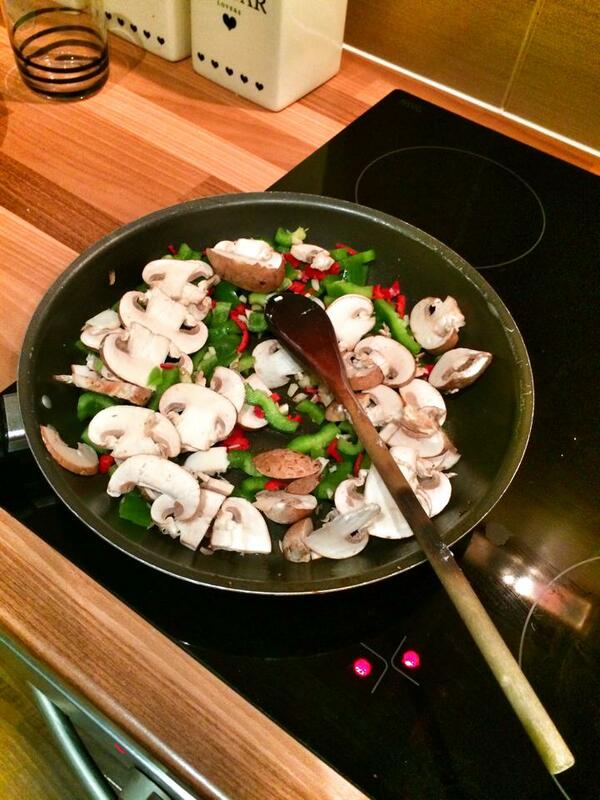 In the same frying pan you fried the chorizo in, add the chilli, peppers, garlic and mushrooms, spray with 1 kal, season with salt and pepper and fry until soft. Then add the herbs and spices, cook for a minute and then add the passata. Let the sauce simmer and combine for a few minutes, add a good sprinkle of crushed chillies if you like it hot, mix and then pour over the filled cannelloni. Top the sauce with the cheese (I grate my cheese on the finest grater you look like you get a lot more for the same weight) and finish with another grating of nutmeg. Pop in the oven on 180c for 25-30 minutes. Serve with salad leaves and a splash of balsamic vinegar or glaze. The people I want to make this for don’t eat peppers. What could I substitute the peppers for in his recipe?